IBM Cloud- One of my favourite characters in literature is Rip Van Winkle, the man who fell asleep and didn’t wake up for 20 years. The world of business has changed so completely over the last few decades that I fancy if Rip Van Winkle woke up this morning, the poor man would want to go straight back to bed. Perhaps the biggest surprise he would get can be summarised in three letters, IBM, the company we are looking at today. At one time, IBM dominated the technology scene. It was miles ahead of everyone; it was even constructing machines to take on and beat the great chess masters of the world. It was at the front end of most of the great innovations, including the personal computer. But, this morning, Rip Van Winkle would discover that these are past glories. If he rushed to check the business pages, he’d learn that IBM’s present market value is $109bn (€95bn), while that of Microsoft – which IBM helped set up – is $802bn. Thirty years ago, few big companies or governments were not IBM clients. It was basking in the warm glow of having invented the pieces of kit that changed life for so many, including the ATM and the point-of-sales scanner, that game-changer for the retail sector. Interestingly, Wrigley’s chewing gum was the first product scanned. But if our sleepy friend Mr Van Winkle was to tease out what IBM is famous for in 2019, he’d find it is the purchase of software group Red Hat for $34bn, the biggest deal in its 107 year history. It is also the largest ever software acquisition and described as ‘transformative’ because it is about breaking the trend of its declining revenues. 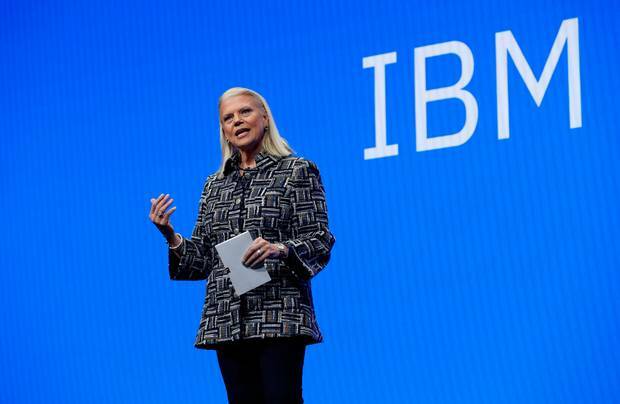 And old Van Winkle would have trouble getting his head around that because he slept through the years when IBM seemed to lose its infallibility. Since its prime, IBM has done one thing well. It has been adept at shuffling its tech portfolio to keep up to date with changing technology. Over 25 years ago, it entered the software business by buying Lotus Computing, and seven years later it acquired PWC Consulting division. In the early part of the century it exited the computer hardware business entirely by selling its PC and server business to the Chinese company Lenovo.